The App Store doesn’t exactly make it easy to find the best apps, particularly those on sale. Add this to the fact that even on a good day most sale apps are terrible and it becomes hard to separate the signal from the noise. Except on Friday, when we filter out the noise for you and find the best apps on sale right now. Today’s list features a handy offline mapping tool, a slick new podcast app and a genre-defining gamebook from Joe Dever. If you’re planning a trip with your iPad or simply don’t want to worry about expensive roaming charges on your iPhone, City Maps 2Go Pro could be just what you need. It allows you to download an unlimited number of maps for offline perusal, with full GPS support and handy tourist information to boot. All included maps use OpenStreetMap data, are highly detailed and completely free. As if the image above didn’t give it away; Fonta is an app that lets you add text and graphics to your iPhone photographs. I’m often dubious about apps like these, but at the current price of zilch it’s hard to complain – and the app has a ton of potential uses, from greetings to status updates. Refreshingly, this is one app of its kind that doesn’t come packed with in-app purchases. While it might not be the most exciting-sounding app, MathStudio is the self-proclaimed “most comprehensive math app” on the App Store. While that’s a bold claim, the app oozes depth and complexity and covers a wide range of functions from basic calculator to statistics, algebra and several types of graphing tool – none of which requires an internet connection. Ordinarily costing $20, now is the time to buy! While Apple provides a basic free app, it’s certainly not the be-all and end-all of podcasting clients. Network is a newcomer, having launched just last week, that describes itself as a “simple, clean and efficient podcast app”. The app features a sharp UI, handy podcast search and background downloading features that ensure your podcasts are ready when you are. Half book, half game, Joe Dever’s Lone Wolf is gave many hungry newcomers their first slice of the popular gamebook genre Pick Your Own Adventure: The World of Gamebooks on iOS Pick Your Own Adventure: The World of Gamebooks on iOS The life of a gamebook adventurer is rough! Are you ready to face down savage foes and clever traps? Read More . Though it wasn’t the first, Lone Wolf is probably the most famous of all the gamebooks, and at this price it’s an absolute steal if you’ve yet to pick it up. If half of the time you spent playing Skyrim was mostly spent reading books, you owe it to yourself to download this. A critically acclaimed 2D point and click adventure from Germany, The Inner World is currently available for 80% off the regular price. The game is very much a family affair, fusing naive cartoony graphics, top-class voice acting and some unusual puzzle solutions all while being sympathetic enough to keep the difficulty as a “family” level. You’ve heard of cyberpunk, steampunk and whalepunk, and now you can add dieselpunk to that list. Sine Mora has you piloting a spaceship, dodging incoming fire and undertaking epic boss battles all while taking on hordes of enemy fighters. If it sounds frantic, that’s because it is – but when has the genre ever been laid back? 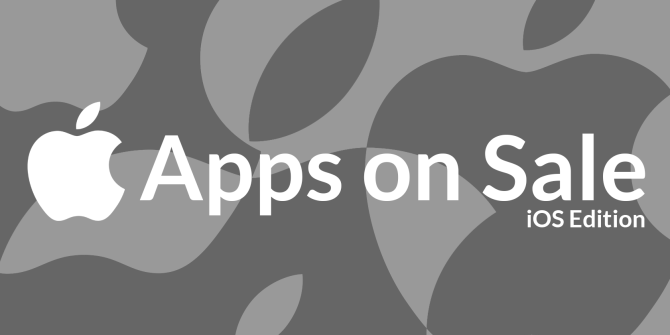 That’s all for this week, check back for next week’s selection of the best Apps on Sale.